Bracelets: 1) Black and White Enamel Link Bracelet from White House | Black Market, 2) Crystal and Green & Yellow Plexiglas bracelet with Swarovski© stones by Miu Miu / Room: Designed by Bruce Norman Long of BNL Interior Design, from Princeton, NJ. Bracelet: MARC BY MARC JACOBS Red, Lilac, Gold Bracelet / Room: Designed by Bruce Norman Long of BNL Interior Design, from Princeton, NJ. Bracelet: Turquoise, Coral & Pearl 18K Yellow Gold Handmade Bracelet, 1960’s(which is also the PRICE of the room) from Fourtane / Room: Blue-green midcentury room photography by IPC+Syndication, found HERE. Roxa Smith was born and raised in Caracas, Venezuela (yummy Arepas). She came to the US in her teens and attended Bowdoin College in Brunswick, Maine, earning a degree in Art History and German in 1984 with a minor in Visual Arts. In 1987, she received a Graduate Certificate in the Fine Arts from the University of California, Santa Cruz. 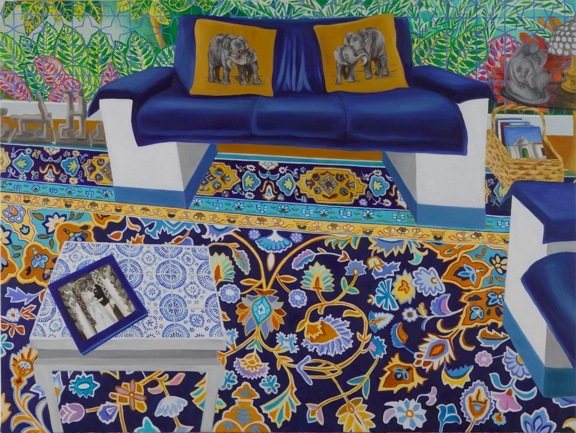 She now lives in and works in New York City and is represented by George Billis Gallery NY and George Billis Gallery LA.. Roxa has exhibited nationally and internationally. 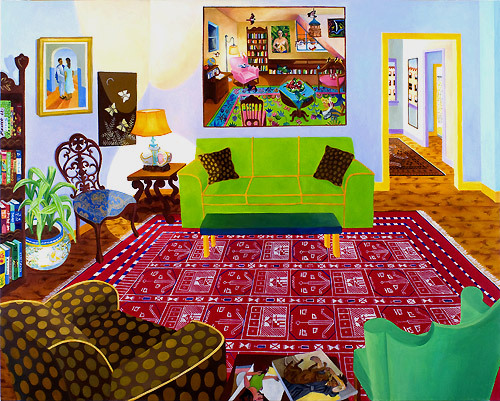 Her painting focus on mostly empty interiors, wherein the remnants of a family or place remain regardless of human portraits. She is currently an English as a Second Language (ESL) Instructor at Baruch College- Continuing and Professional Studies (CAPS). Her interests include cooking, biking, traveling, education, and India. To buy some of her works and prints directly online, go HERE. Smith explains her series, Interiors, “The spaces we inhabit or visit each take on an individual character and sensibility in our minds, a memory of the time we passed there, of the company we shared. These voyeuristic paintings depict actual places, recalling their essence without seeking to faithfully recreate them. The intimate scale in this ongoing series of gouache on wood portraits, often only 5 by 7 inches, invites the viewer to enter the room, to experience the narrative quality within the quiet space, devoid of people, yet evocative and teeming with life.” Her use of light, color, shadow, and angle is extremely unique. Her images are intimate and a little lonely. Don’t you just want to dive in to the realistic depth of the painting and take up residence on her canvases? “In these interiors and exteriors, I strive to capture and then distill fleeting moments in time and seek to illuminate the “spirit” of a space. The images are often devoid of people yet evocative and teeming with life, intended not to purely document a place but rather to portray its essence. I concentrate on the architectural details, source of light, and complex patterns within a composition. The isolation and juxtaposition of these elements creates a picture that is anything but a straightforward view…”, continues Smith in her motivation for another series, Interiors and Landscapes. 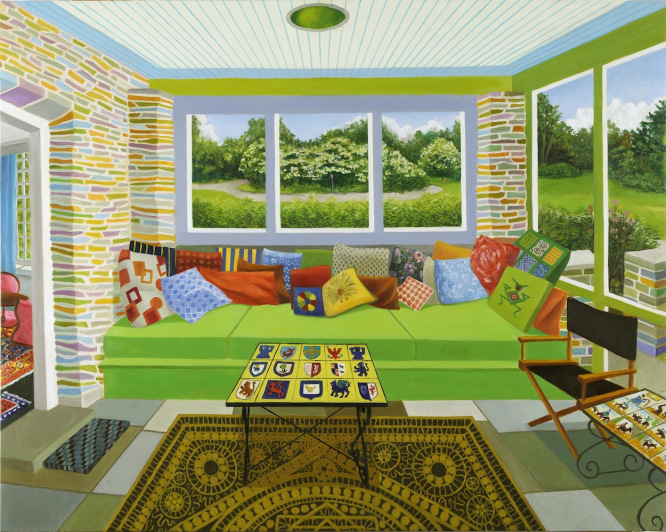 I love the fact that her images often feature a room within a room. The art on a wall captures and directly reflects a captured moment in space, a moment that is ephemeral. This concept of magic realism reminds me of another native South American – Argentinian, Jorge Luis Borges, who writes, “You have wakened not out of sleep, but into a prior dream, and that dream lies within another, and so on, to infinity, which is the number of grains of sand.” What is life but an image within an image, a dream within a dream? 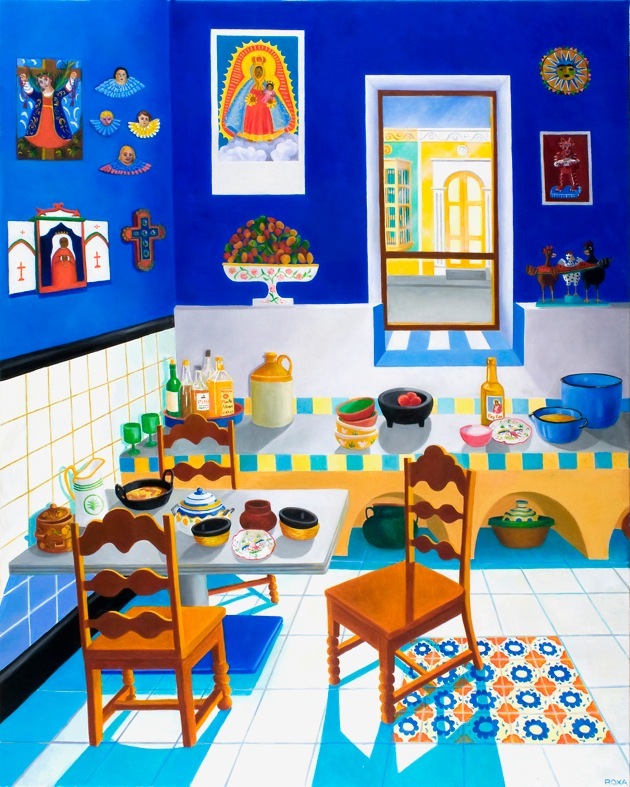 Borges believed that reality is not always based on probability, and so Smith’s paintings remind me of the weird and fanciful aspects of interiors. Sorry for the esoteric mind bend but, it just goes to show you how deeply Smith’s paintings make me think and feel. Room designed by Vintage Renewal from Idledale, Co., image found HERE. 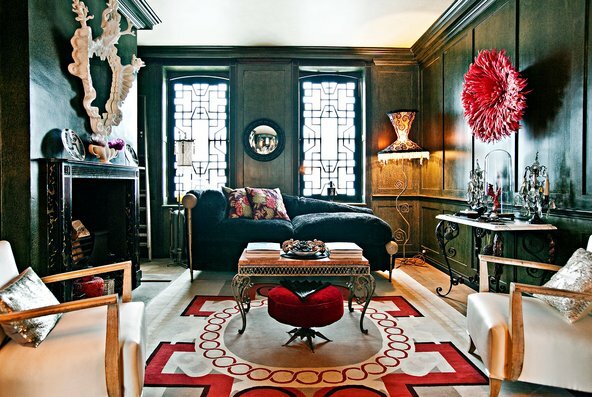 Back Bay Apartment, Boston by Nirmada Interior Design, image found HERE. 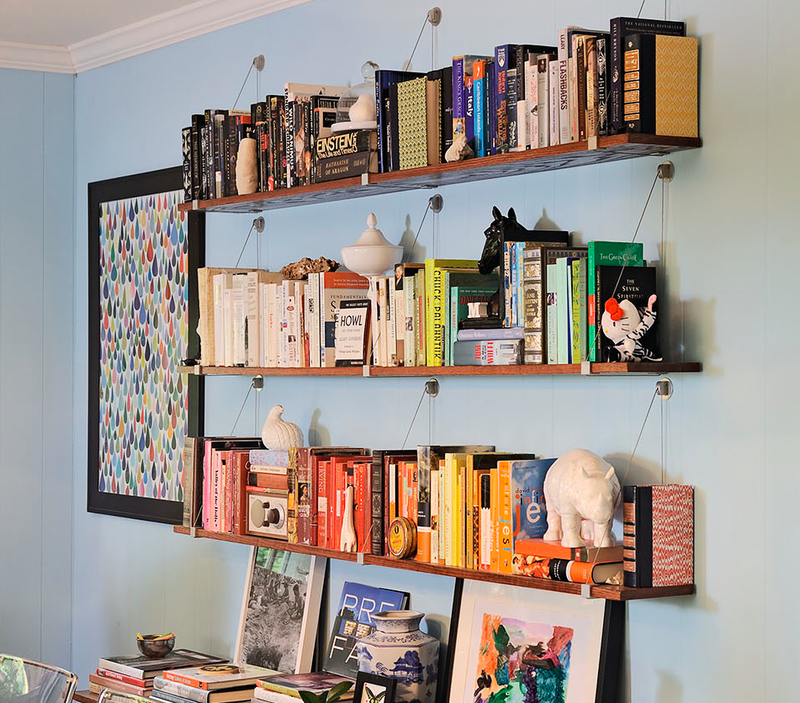 This eclectic, print-filled room from Better Homes & Gardens, HERE. 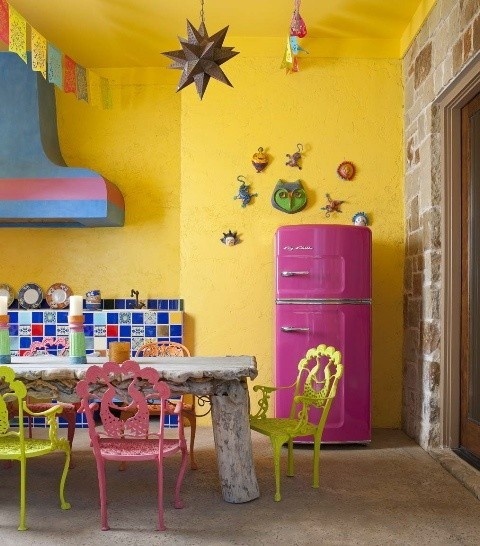 Neon pink fridge, Latin American flair, Mosaics, and that yellow wall! Image via Big Chill, HERE. The two-room 40 Winks hotel in Stepney Green, London, UK. Images found HERE. 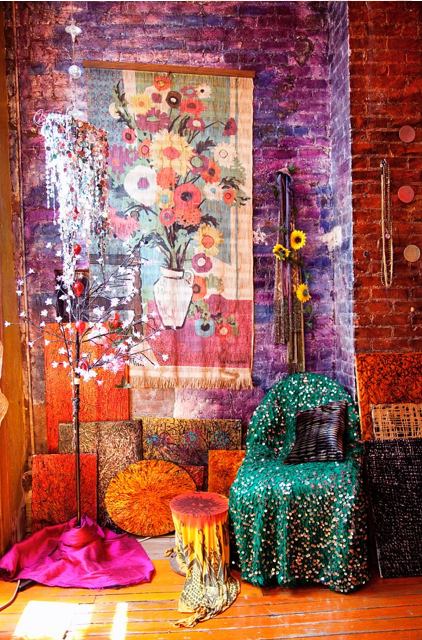 This patterned filled workspace courtesy of Absolutely Beautiful Things, HERE. Image found via Anthropologie, HERE. 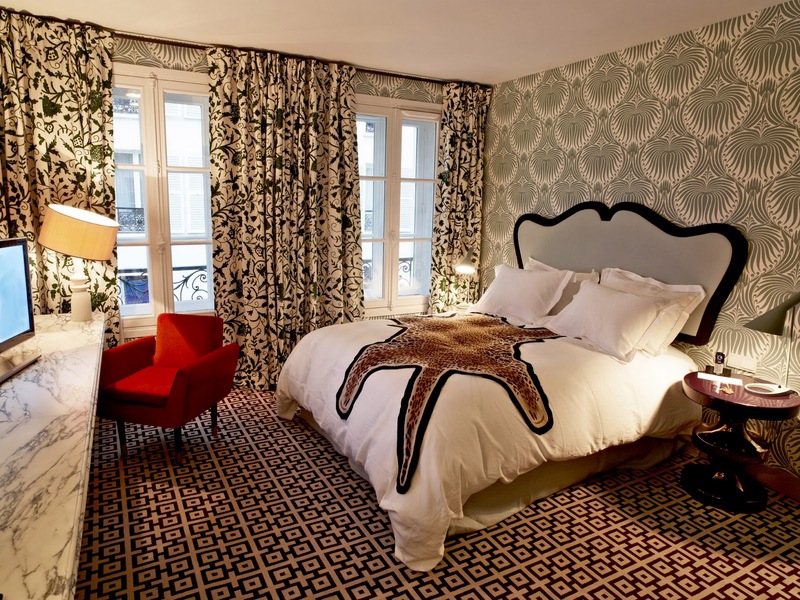 Image of Hotel Thoumieux in Paris, France found HERE. 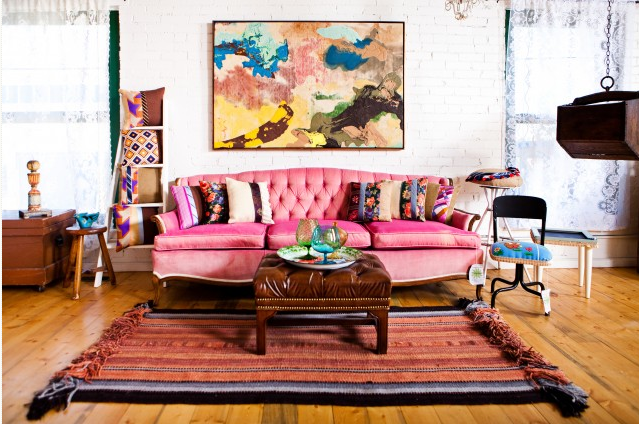 HOW CAN I LIVE IN A FANTASTICAL AND BRIGHT ROXA SMITH PAINTING? 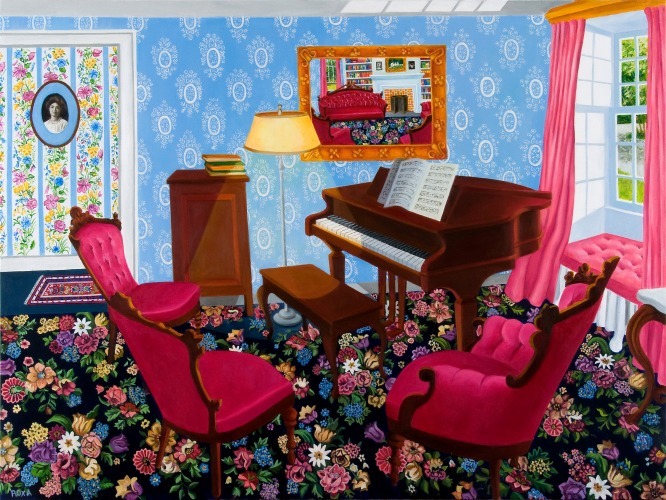 I understand that not everyone can live in such a BRIGHT and multifarious room so, like in Smith’s paintings, it is enough to just contemplate the type of people that fill a space. My mind has been attacked and invaded by color and pattern lately; I promise I will calm down the rooms in the next few posts! 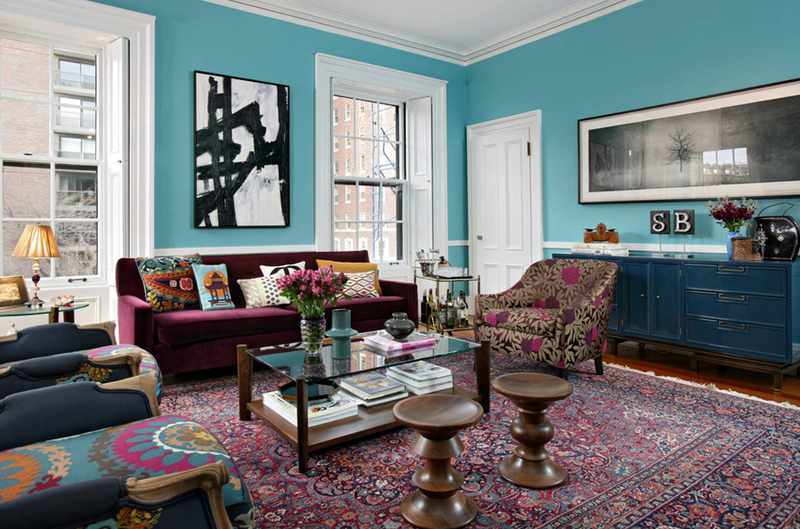 It is amazing to see how color can enhance your day. 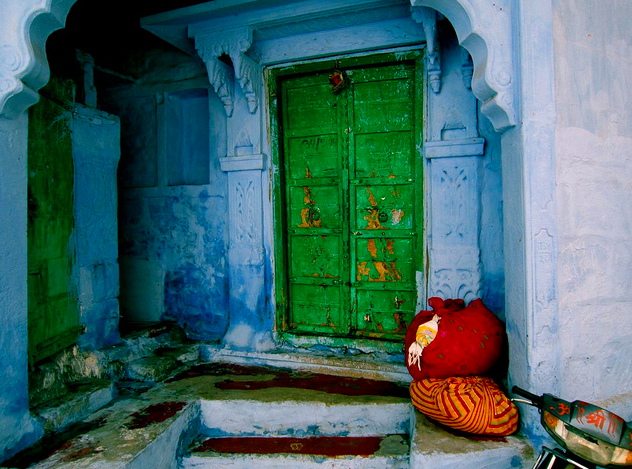 Several ancient religions used to employ chromotherapy, or the healing effects of color. 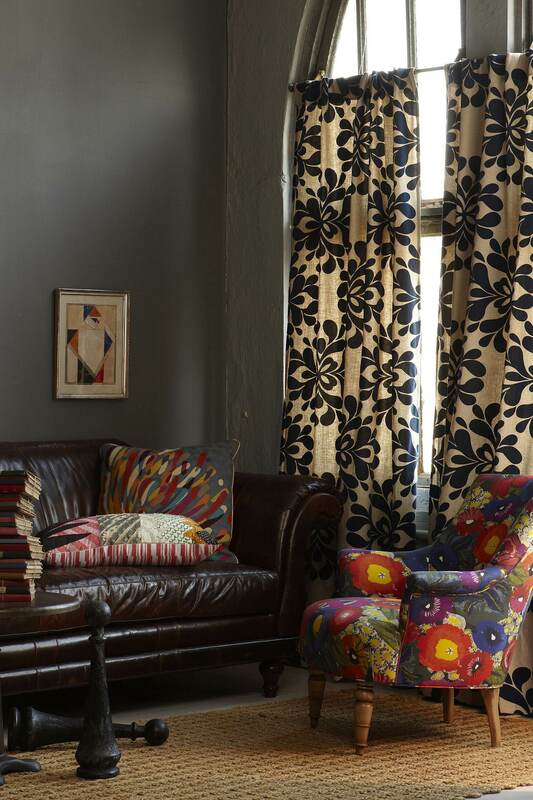 More recently, scientists have developed color mood theory and color psychology. 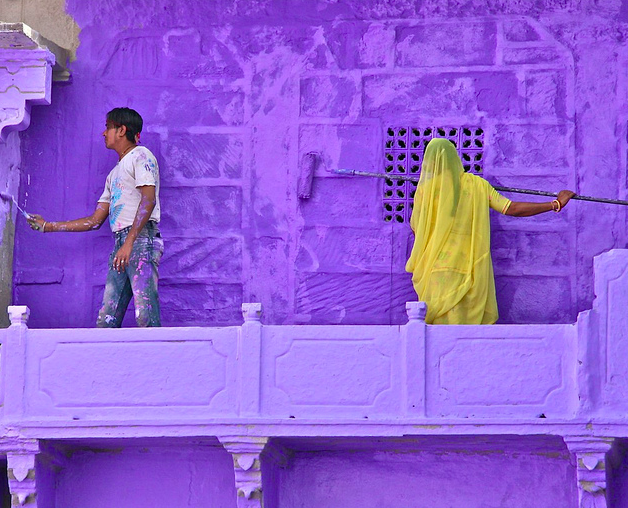 The hues can affect our disposition, appetite, self-esteem, and spirituality. For example, blue represents peace, tranquility, stability and confidence. Black fills one with feelings of sophistication, mystery and depth. Green is soothing, youthful, and associated with fertility. But, in general, the human eye is (supposedly) most attracted to red. But let’s get real, why choose only ONE color when you can have ALL the colors? Image by Furbish Studio, found HERE. 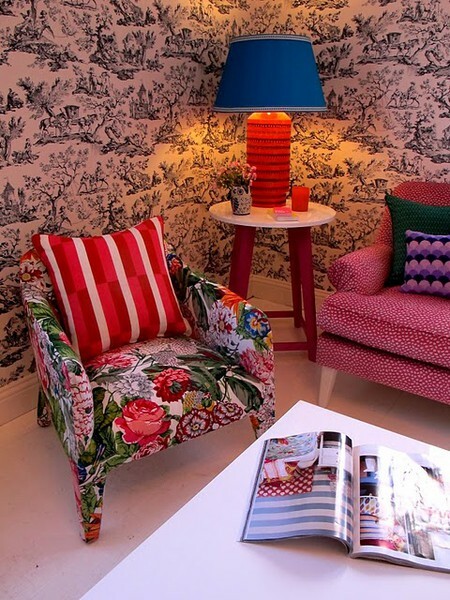 Images by Roche Bobois Interior Design, HERE. Image via The Selby, HERE. Images courtesy of the Let’s Colour Project, HERE. 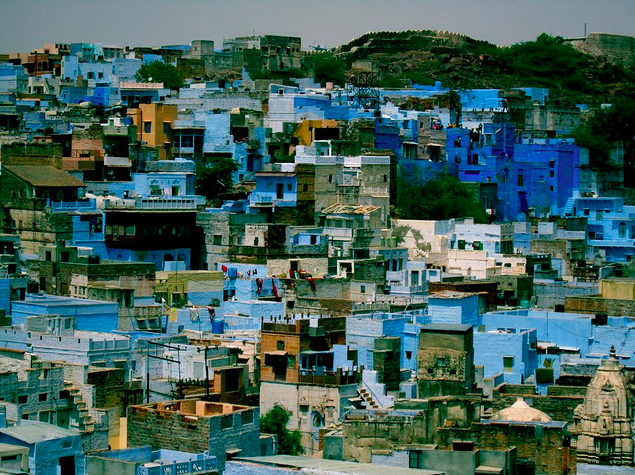 The project, started in March 2010 in cooperation with Dulux house paints, and is working together with local communities, across the globe, and rolling up its sleeves to paint streets, hotels, houses, schools, villas, and squares. 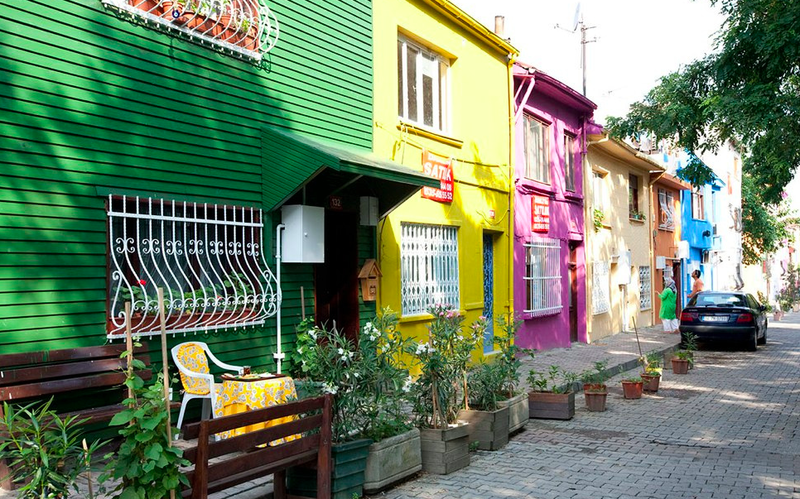 More than simply gentrification and renovation, the “Let’s Colour Project” aims to encourage local participation and collaboration. 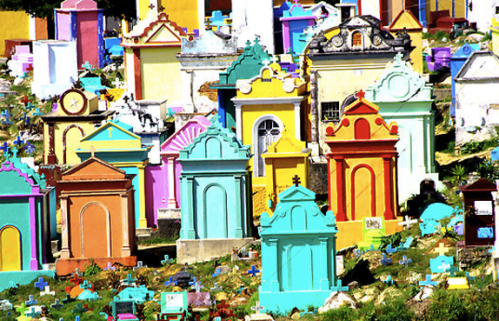 It wants denizens of a town to design and style their own communities! So far London, UK; Rio de Janeiro, Brazil; Jodhpur, India; and Marseille, Lyon, France; Sapron, Hungary; Casablanca, Morocco, and Paris, France have been colored in! If you’re far and away from the aforementioned locales, do not fret, anyone can get involved! It doesn’t matter if it’s your bedroom wall or your local school. Everyone can be part of it. Read more about the “Let’s Colour Project“. So far 229,875 liters of paint have been donated to the cause! HOW CAN YOU LIVE IN A WORLD THAT ENCOMPASSES THE ENTIRE ELECTROMAGNETIC SPECTRUM?